*Infusion is made by putting 1/2 cup of organically grown rose petals into a large measuring cup and adding one cup of boiled water. Steep for 1-2 hours and then strain off liquid. This is Rose Infusion and can be added to baths. 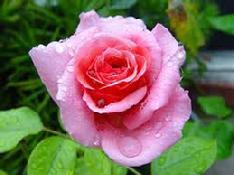 I like to intensify the benefits by adding a drop or two of Rose Essential Oil. I also will add Silver to it (1 teaspoon for every two ounces of infusion) to keep the fluid safe from microbes without refrigeration. You can, however freeze the liquid if you make an abundance of it for future use. (The two ounce spray lasts me just about a year by spraying once a day). You might want to make some up for gifts while you are doing yours. 1 large glass/metal jar or bowl that has a wide opening. You want to avoid using a plastic jar or bowl because the chemicals in the plastic can leach into the kombucha during the fermentation period. 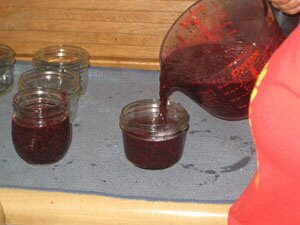 It’s also possible that ceramic pots might cause lead to leach into the kombucha once the acid comes into contact with the ceramic glaze. Look for a big Stainless Steel or glass jug/jar/bowl online or in large kitchen stores, and make sure the opening is wide enough to allow a lot of oxygen to reach the kombucha while it ferments. I personally use a half gallon canning jar. 1 SCOBY disk. You will need to purchase a “SCOBY” disk and can find one either in health food stores or online at very inexpensive prices. A SCOBY disk can be vacuumed-sealed in a small pouch and shipped directly to your house for only a few dollars, while still preserving all of the active yeast ingredients. Or, get one from a friend. 8 cups of water (preferably filtered, but people who use tap water feel this works fine too). Some prefer using distilled water which will contain less contaminants or metals than tap water will. Distilled water is inexpensive (only like 88 cents a gallon) and can be found at most large drug or convenience stores. I use purified reverse osmosis water. After the tea is made you can add 1/4 cup to a mug of other herbal teas or just drink straight. You can find all of the benefits by Googling Kumbucha benefits. Your tummy will be much happier by treating it to Kombucha on a daily basis. PLACE organic raw nuts in a large glass bowl or mason jar, and cover with warm, filtered water (about a 2:1 ratio) and about ½ tsp. NSP sea salt. Cover with a light cloth for desired time. (Usually a minimum of over-night and no longer than 30 hours) Nuts do not need a lengthy tail. You only need to soak off the protective coating that interferes with digestion. If not consumed right away make sure you refrigerate. You can also toast them just before eating but remember when you cook them you do lose some enzymes. GET a quart-sized (or larger) mason jar. Remove the solid middle insert of the lid, and cut a piece of cheesecloth or breathable mesh to fit over the rim and then put the ring on. The mesh should form a skirt around the edge enough to be caught up in the ring. Take this off and then add the seeds or nuts. Usually a teaspoon of very small seeds works well as they will at least triple in size. ENJOY within 2 to 3 days. Sprouts are a fabulous nutrient-rich addition to raw salads, sandwiches, and wraps, and are also tasty in smoothies, soups, and stews. After the sprouting process you do need to keep in the fridge so mold does not form. Keep a rotation going where there are sprouts sprouting and some in the fridge for eating. If you are taking a test or driving and can't think as clearly as you need to try sniffing some peppermint. I like putting about 10 drops into a small roll-on and add aloe vera gel to fill. Shake back and forth and place in your car, purse or backpack. Take it out and rub it onto your wrists and then take a deep breath. It will invigorate you! I have used this roll-on for a lot of things. It is especially helpful when travelling. Aside from freshening the air it is analgesic (pain relieving), can help bring down a fever; eases hot flashes, and is antiseptic! Researchers in India confirmed peppermit essential oil acts as a bactericide against E. coli ad is an antifungal effective against 22 Gram-positive and Gram negative bacteria; 11 yeastlike and filamentous fungi in vitro. It even tested effective against head lice. Adding this oil to lemon essential oil has been found to be an effective antibacterial against MRSA according to the publication Microbios. So, you can see why I love this little roll-on for travel! It can be a quick way to sanitize your hands, relieve headaches and nausea and protect against infection. This combination has been shown to be effective against Strep and Staph, kills bacteria and viruses as well as effective against yeast. Can be sprayed on bed sheets; pillows; mattresses; phones, door knobs and is even safe enough to spray a cloud of it and walk into it with eyes closed and breathe deeply to help the immune system fight off infection. So, if you have a sick family member and you don’t want the condition spread… spray this liberally and often. It will freshen the air while fighting infection. Spring cleanses should be individually recommended. Some to choose from would be Clean Start, Tiao He or something for the irritated intestines like Everybody's Fiber and Aloe Vera Whole Leaf. They should not cause pain or discomfort. If they cause too many trips to the bathroom, you've chosen the wrong one or you must go slower. In general, I have found that a good spring cleanse can be as easy as drinking 16-20 ounces of pure water with the juice of half a lemon squeezed into it. Minerals make a good tonic and Ionic Minerals is quite tasty. 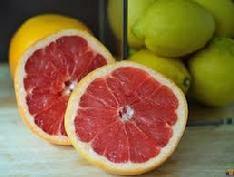 You can even add this to the "lemon juice" above.. Sugar should not be included. Remember you are doing this for the health benefits and sugar has no benefits, If you need something sweet add a powder stick of Solstic Immune with the lemon and minerals. This will help get your immune system geared up and if you add some Milk Thistle you might not have any allergy symptoms to deal with this spring. It is always safe to take Probiotics before bed and upon rising to support your immune health. This can be done daily. This easy to do drink will help your blood get more oxygen. It will help give you energy and improve circulation. It normalizes digestive fluids and stimulates peristaltic action in the colon (but only if this is necessary). It helps to improve liver function and encourages regeneration of damaged liver cells. Easy to absorb and good tasting! You may want to add this to your health regimen just because it is easy to do. This drink is safe enough for children and good for pets as well. Add all of the above in a one ounce dropper bottle. Shake and take 5-6 drops under the tongue 3-4 times a day when faced with having to make decisions or choices. When feeling anxious you can take as often as every 10 minutes. Also look into taking Nutri Calm and AnxiousLess to nutritionally support the nervous system. Emotionally and spiritually, lemon essential oil promotes focus and clarity. It's uplifting affects awaken the senses, clear the mind of distractions, and help a person tune in to the task at hand. It helps a person to overcome confusion or doubt, fatigue, overwhelm, and lack of enthusiasm, as well as helps to clear self-doubt, limiting beliefs, stagnant energy, and rigidness in the mind, heart, or body. Be Courageous helps to strengthen one’s reserve when one is anxious about something new. It supports the energy of a person who is doubtful and fearful of new situations. AnxiousLess is a product that can be taken that nutritionally supports a person who is facing situations or experiences that creates doubt or concern. Just one capsule has been known to help one feel more in control. The soothing effects of Slippery Elm and other herbs in Everybody's fiber has helped many people calm intestinal lining and prepare the stomach for food. Take the scoop of Everybody's fiber and add it to the 2 ounces of water and stir with a fork. add more water to thin it. This drink should be taken 15-20 minutes before eating. The herbs in the formula are designed to calm inflammation and irritation so that proper digestion can occur. It is also recommended that you take two Digestive enzymes with the meal to assist in proper digestion. If you have a very irritated stomach you might want to begin with Proactazyme. If you are older than 35 you will probably need to have the addition of betaine hydrochloride in your enzyme (Food Enzymes) to help digest proteins and break down calcium. Make sure you consult with a medical doctor if medicine has been prescribed. You may have to wean off gently with a professional's guidance. Also, I encourage you to check the list of side effects for the medications you've been prescribed and talk with your doctor about any symptoms suggested you may be experiencing. Putting sugar in yogurt defeats the purpose of eating something healthy. Why not bump it up a notch with a sweetener that is actually healthy for you and includes some very good nutrients? I love adding Solstic to my yogurt and then some raw nuts and seeds. This treat is something that will help keep your engines revved! Solstic Immune—tastes like a pink lemonade smoothie! Traditional medicine used poultices to draw out toxins. Bacterial infections are toxins that the body wants to get rid of. Strep infections are becoming more common after a surgical procedure and medical doctors use stronger and stronger antibiotics to defend against them. Sepsis is serious…it means death. You can fight this condition by using Silver Shield liquid in high doses for a short period of time and using a topical drawing poultice. When this is well mixed spread onto a sterilized gauze pad and apply to the infected area. Leave this on for a minimum of one hour or up to 8 hours. Wash with purified water. Spreading Silver gel on the infected area will assist in the healing. Poultice may be done once every 24 hours to draw out toxins. You can cover with plastic wrap or another gauze pad and adher with adhesive tape. The Activated Charcoal is well-known for its ability to absorb poisons and toxins. Coconut oil is a good base for this poultice as it has healing benefits and Lavender is a tissue healer. Always seek help from a professional health consultant or medical doctor for serious health challenges. The above is not to replace any treatment recommended by a medical doctor and in no way is meant to prescribe or treat. Resources available for the above can be found in traditional medical journals. My favorite flavoring agent is NSP's Sea Salt. I love the flavor and what it does to my food. It has no calories, sugar or other disagreeable additives. Besides pure, full spectrum sea salt (Real Salt) there is celery seed ground fine. The addition of celery seed compliments the sea salt to assit the body in digestion. Sprinkle it on your favorite veggies and taste the flavor pop! Add some Organic butter that is rich in Omega 3 essential fatty acids and you are not only enjoying the taste but assisting the body in health. Portion control is important. 1 cup of chopped broccoli, steamed for a few minutes (crunchy and yet the color changes); add a teaspoon of delicious butter and sprinkle with Sunshine's Sea Salt and you have a yummy treat! Solstic Energy drink—safe, non-habit forming! 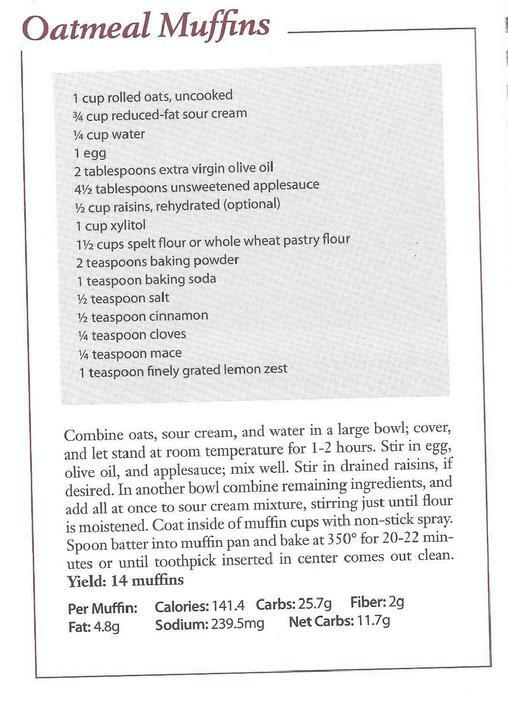 The following recipe is from a book: Sweeten Your Life the Xylitol Way written by Karen Edwards, PhD. It has lots of great recipes and I urge you to buy a copy and start using Xylitol to bake and cook with. It is a great sugar that has many benefits. Occasionally some people will have an intestinal problem and I find that is because they do not have enough friendly bacteria in their gut. Once they correct that with probiotics, they can then use xylitol without problems. NSP has xylitol gum, mints, mouthwash and toothpaste. This sugar is beneficial and corrects bacteria in the mouth that leads to plaque and decay. This recipe starts with a base of ham stock but you can use any base you like. I usually buy Hormone Free; Pesticide and chemical free ham and bake it. To make the broth: I use the bone and add about a gallon of purified water to a large pot; one large onion; 5 stalks of celery; 1 chopped scraped carrot; 2-3 cloves of crushed garlic. I let this come to a boil and then simmer for at least 8 hours (it can be put in a crock pot during this stage). I then strain off the liquid and either freeze it or use it for soup. Take a half cup of the above stock (or a little butter) and sauté half a large onion chopped fine; 3 stalks of celery (cut up in small pieces); 1 teaspoon minced garlic on medium heat until onion is translucent. Add a quart of stock; (I added 1 cup of blended cooked pumpkin to add more nutrition) and one cup of rinsed brown lentils—(make sure you’ve checked for stones etc.). Bring to a boil and then simmer until the lentils are cooked and mushy but still have some texture. I stir about every 15 minutes to make sure nothing sticks to the bottom of the pan. You can add carrots or other vegetables to this. I just add NSP’s Sea Salt for flavoring as I’m not fond of spicy food. Other people may like to add curry. This is a delicious meal on a cold day. You can freeze some for another day and make a quick meal that is really healthful. Homemade chicken soup has some wonderful healing properties. The best is made from organic, free range chicken parts (including neck and feet bones if possible); a gallon of purified water; one large organic onion; 3-5 garlic cloves smashed; 4-5 cut up stalks of celery and 1 scraped cut up organic carrot. Put these all in a pot and bring it to a boil. Turn down the heat to simmer and cover. Let this simmer for about 8-10 hours (24 is best) so if you have a crock pot now is the time to switch it over to the crock pot and put on lowest setting. The longer this mixture simmers the better. When it is strained and refrigerated it should gel. This will tell you that you have gotten the goodness out of the bone. If you are only going to simmer for 8 hours put a couple of tablespoons of apple cider vinegar in it to help get the minerals out of the bone. If you are using breast portions, take them out after the hour is up and refrigerate to use in another recipe. Shake well and spray often to clear the air and lift your spirits. You can spray on your wrists and then rub together. Bring wrists to nose and breathe deeply. Spray bed linens before bed for sweet dreams. Be sure to take with you so that you can spray the car or other areas that may bring down your energy. 1) A pan or dish washing tub (you can do this in the bathtub but you will need to at least triple the recipe). Something your feet can fit in comfortably side by side. 2) Enough warm water in the container so that it goes just above your ankles when your feet are in the tub. Soak for about ½ hour. The tension will ease; you will feel refreshed and the room will smell delightful! Put all ingredients into a 2 ounce spray bottle (may mix the Distress Remedy with the aloe gel to get it into the bottle easier). Fill bottle to the flared top leaving some air space. Replace sprayer and shake well. Spray on wrists and/or ankles. This along with a sensible diet will help you maintain proper blood sugar levels. Use often throughout the day. 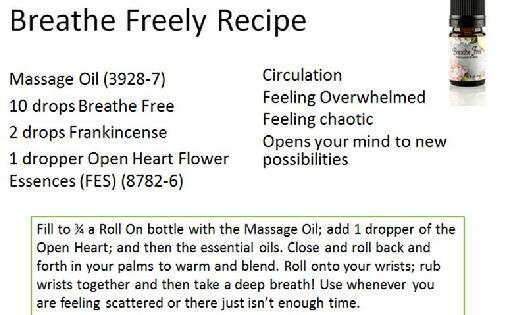 Can be sprayed on bed pillow; pour 1 tablespoon into a bath and add NSP Concentrate for a relaxing bath. Close with roll-on top and bottle top; roll between palms to warm the oil and then turn upside down and roll again for about 10 turns each way. Open top and roll-on pulse points at wrist. Rub wrists together and bring to nose and take several deep breaths. 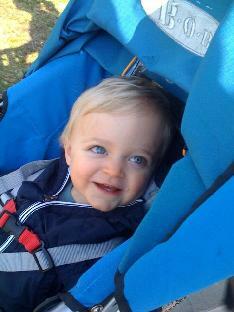 Fill your heart with wonder and love! 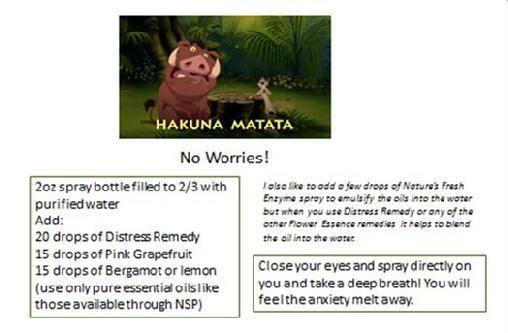 drop 5-6 drops onto Aromaball for 3 hour delightful scent. If you are entertaining--consider taking a couple of NutriCalm tablets to help you enjoy your own event. Shake and tilt head back a bit and spray up your nose! Take a sniff and let the cooling of Tei Fu soothe irritated tissues and help the sinuses reduce swelling. This can be used hourly until symptoms subside. It should be used daily when sinuses are congested. It will relieve congestion and allow for better breathing. If Tei Fu is too strong, you can try just using the Silver Shield or you can add a drop or two of Breathe Free essential oil. Essential oils are anti-microbial and work to fight Viruses or Bacteria and fungus too! Don’t just stimulate the body—cool it down and nourish it while hydrating cells! Shake and drink (or sip) for a refreshing and rejuvenating drink that will nourish and hydrate cells. Great after doing yard work, running, playing etc. This drink is for children too! Shake and drink (or sip) for a pick me up with just a hint of beneficial caffeine in a natural herbal source. Spray on Sunburn and when you can touch it rub vigorously. The first couple of sprays you may not be able to touch it but the vigorous rubbing (not hard but vigorous) helps to increase circulation and will help the burn heal faster. It also facilitates moving the injured cells out of the tissue spaces and often will prevent blistering especially when combining it with (NSP) Lavender oil. Blend and serve. Makes 1 serving for soupbowl-size chopped salad. Make in larger quantities; will refrigerate well. Try other sugar-free mustards like Poupon, or Stone Ground. In the bowl of a food processor or blender, pulse together dandelion leaves, basil, garlic, and nuts. Scrape down the sides of the bowl. With the motor running, add olive oil and process until a smooth paste forms. Pulse in cheese if you like. Season to taste with salt and pepper. Put qt. jar in a pan with water and fill to within 1 inch of top with organic raw milk. Turn heat on med high until bubbles form then lower until bubbles are gently rolling. If you have a food thermometer you can stick it in the milk and it is done when it reaches 110 degrees. (If no thermometer--keep testing the temperature by placing a spoon into the milk and stir--take spoon out and feel if it is hot to the touch but not burning you. Milk should be stirred once a minute to move the hot milk from the bottom of the jar up to the top where the milk is cooler. When desired temperature is met you then stir in the yogurt starter with a fork to blend well. Remove from heat and cover with a clean towel to keep warm or you can place the milk into a thermos. You want the mixture to remain warm for about 6-8 hours. It will become lumpy so mix again with a fork after the cultured food is done and cover with a canning lid and ring. Store in the refrigerator and use 1/2 to 1 cup in your favorite smoothie recipe. Yummy and beneficial for healthy digestive tracts! make a chunky bar by adding raisins and chopped walnuts. Make an Almond Joy buy adding coconut (unsweetened) flakes and slivered almonds. (I add a thin layer of slivered almonds to the bottom of a shallow baking dish and then spread the mixture over it�makes for easy removal of squares). Healthy snickers use peanuts (slightly roasted)�haven�t figured out the nougat part yet. Adding a small amount of peanut butter makes this a cross between a snickers and a Reese�s cup. Add this just before you are going to put it into your shallow dish�just swirl it in, don�t mix it up. After you have spread the mixture into your shallow baking dish, bake for 15-20 minutes at 300 degrees. Let cool to room temperature and put in refrigerator to set up. It is ready after an hour in the refrigerator to cut into pieces and serve. The above method can also be used to coat pretzels or dip apples. It makes a fun fondue for all kinds of fruit! Preheat oven to 325 degrees. Line cookie sheet with parchment paper and brush with oil heavily. Whisk egg white until frothy. Add water, Xylitol, cinnamon. Whisk to combine. Add nuts and toss to coat. Spread nut mixture evenly over cookie sheet. Bake 20-25 minutes. Cool prior to breaking apart. 12 servings @ 1 1/2 oz per serving. Cut (or tear) turkey meat from all the bones. Put in containers and refrigerate or freeze for later use. 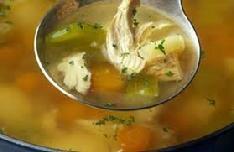 I don�t usually strip all the meat from the bones as it does add flavor to the broth. Cover the bones with water. The biggest challenge is the breast bone�I sometimes will put a glass cover over it as I find it nearly impossible to cover completely with water (see picture). Let the liquid come to a boil and then turn down to simmer. I usually will simmer this overnight. It is best if you do it for at least 8 hours. I have left it for 24 hours. It depends on when you have time (about another half hour) to complete the next step. The broth should not be boiling hot when you go to strain it. I usually will shut the heat off�take the pan off of the stove and wait about an hour. After cooling a bit transfer liquid to a large pot by: putting a colander on a stew pot or Dutch oven. Line the colander with unbleached cheesecloth and pour the contents of the soup pot into the lined colander. Go slowly so that things don�t go plopping out of the pan and missing the colander. You then can put the broth into glass jars and keep refrigerated for making soup or freeze to use for soup starter or any time a recipe calls for chicken broth. My family loves the turkey noodle soup I make from this. You can place into your favorite pie crust or go without and serve with a crusty bread. Preheat oven to 350 degrees. In a blender or food processor, combine eggs, flour, baking powder, minced onion and garlic, butter, and 1 cup cottage cheese; blend well. 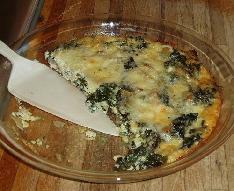 Pour mixture into a large bowl; add remaining cottage cheese, broccoli, spinach, peppers, scallions, and Swiss cheese. Mix thoroughly. Pour into a greased 10-inch pie pan. Bake 40 to 45 minutes, or until set. 1 oz. Herbal Trim; 10 D. Lemon/Eucalyptus, 6 D. Tea Tree, 3 D each Peppermint, Lavender and Geranium add � teas. massage oil and � teas. NSP conc. Soap�Whisk into 4 oz. of water and pour into two 2oz. spray bottles. This is safe for even babies (spray from a distance of no closer than 12 inches and cover face with the back of your hand--then gently swipe your hand over the baby's face and neck). Works effectively against mosquitos, flies and most garden insects. 1. Combine equal parts honey, sugar and water in a saucepan. 2. Boil the mixture, stirring occasionally, until thick. 4. Cut strips of brown packing tape, punch a hole on one end and loop a piece of string through the hole. 5. Dip the strips in the thick honey mixture and hang outside to dry, about 30 minutes. 6. Hang the strip in the area of worst infestation, and replace often. Cleaning Outdoor Furniture and Grills and decks! Dissolve the washing soda in a bucket of hot water add rest of ingredients. Wearing gloves and using a sponge, slather the water onto the furniture, and let it set for 10 minutes or so before rinsing. For stubborn stains, redo and leave the water on the plastic for an extra 10 minutes before rinsing thoroughly. Tea tree oil is an essential oil that is a broad spectrum fungicide. Combine the ingredients in a spray bottle. Spot test on cushions to make sure there is no discoloration. Spray on the cushions. Don�t rinse. In a few days, both the strong smell of the tea tree oil and the mold will dissipate. Assuming you can rinse your cushions, after you have killed the mold and mildew, spot clean cushions using the Plastic Lawn Furniture Cleaner, above. Rinse. Note: Spot test the washing soda mixture on wood furniture first. It is a powerful cleanser, and you don�t want to peel off any existing wood finish. In a pan big enough to hold the grill (the kitchen sink might also work), soak the grills overnight in the washing soda and soapy water. In the morning, the grime on the grill will come off easily. Wash with NSP concentrate and water, and rinse.